Research on second language learning suggests that age or age-related factors are a major variable in the acquisition of a second language. In learning language, adult learners are faster and more efficient learners, with the advantage of more advanced cognitive development in the first language. Every adult learner has a lifetime collection of previous knowledge and experience. When learning something new, most adults need to see how it fits in with (or is different from) what they already know. Adults are willing to learn theories, but only if they can see how those theories apply in real life. What exactly is the relationship between age and language learning? Piaget has shown how human cognitive development is achieved through maturational stages, with our thought processes and patterns changing systematically as we grow. He also studied the way we understand the stages of language development as part of more complex cognitive development. Piaget1 distinguished between "egocentric" and "socialized" speech in children. When he watched five-and six-year-olds working and playing together, he noticed that their communication often resembled monologues. The children talked, but without much notice of who was listening. They would answer their own questions without waiting for someone else to answer, and often several children would talk simultaneously in what Piaget called "collective monologues." Children seem unable to engage in sustained socialized speech until they move out of what Piaget calls the preoperational stage of cognitive development and into the concrete operational stage. This shift, which normally occurs around age six or seven, finds children outgrowing their inability to focus on more than a single aspect of a situation, or a single point of view, and beginning to consider relationships. At that point they begin to consider the need to communicate differently with different audiences--to take the listener's point of view into account. Given this pattern in child language development, it should not be surprising that educators have greater success redirecting the language behavior of 8- to 12-year-olds than 4 to 7-year-olds Although this younger group has no trouble learning a second language in natural settings, they do seem to be slower to respond to formal language instruction in school than older learners. It can be expected that as they move into the stage of cognitive development that permits socialized speech, their openness to educational intervention will increase. Around this same age, middle childhood, children develop a conscious awareness of language that allows them to think about it, judge it, and manipulate it much as adults do. This new awareness of language corresponds to a general cognitive "de-centering" 2 that children experience as they begin to step back and reflect on situations rather than just on themselves. Conscious awareness of language makes it possible for children to think about the appropriateness of what they and others say and to segment language into units -- a necessary step for learning to read. The onset of this awareness, coinciding with other advances in cognitive development, appears to be at, least partly responsible for the boundary that researchers have found between early childhood and middle childhood for purposes of school language acquisition. Instructional strategies which are popular in formal classroom settings are more likely to fit the cognitive abilities of older children, creating an advantage in rate of acquisition for older children over younger ones. A similar developmental boundary occurs around the time of adolescence, when the "formal operations" stage of cognitive development begins, allowing a kind of abstract thinking not tied to experience with concrete objects. At this stage, new concepts normally derive from verbal rather than concrete experience3.The ability to manipulate abstract linguistic categories and to formalize rules and concepts is an additional aid for language acquisition4. This advantage, related to conscious language learning and not natural language acquisition helps explain the initial advantage for adult learners that many researchers have found. Because of their conscious awareness of language and ability to formalize linguistic rules, older learners can outperform younger learners in the early stages of language acquisition, especially in production tasks .When conscious knowledge is called for, as in monitoring tasks that require grammatical analyses do adult learners keep a long-term advantage over younger learners. 5 The relationship of language acquisition to cognitive development may be one source, then, of the "age differences" researchers have found among language learners. By being alert to the cognitive variables active in the children who enter any classroom, educators can base instruction on what the individual learners are ready to accomplish. There are many misconceptions about the relative abilities or inabilities of adult language learners . Do adults learn language faster? Is it impossible for adults to achieve fluency? These and other common beliefs are simply not true. Young language learners do not necessarily learn faster than adults and, in fact, adults may learn more efficiently. Furthermore, there is no loss of language ability or language learning ability over time. Age is not a disadvantage to language learning, learning a second (or third etc) language actually keeps the older language learners mind active. People of all ages can benefit from learning languages. In the areas of vocabulary and language structure, adults are actually better language learners than children. Adult learners have more highly developed cognitive systems, which make them able to make higher order associations and generalizations. They integrate new language input with their already substantial learning experience. They also rely on long-term memory rather than the short-term memory function used by children and younger learners for rote learning. More recent research in neurology has demonstrated that, while language learning is different in childhood and adulthood because of developmental differences in the brain. They have superior language learning capabilities they believe in developing their concepts instead of going for rote learning. I seldom find any adult learner who goes for rote learning. Exercises such as oral drills and memorization, which rely on short-term memory, also discriminate against the adult learner. The adult learns best not by rote, but by integrating new concepts and material into already existing cognitive structures. The acquisition of the second language by adult learners is slow and discouraging, but they want to use a foreign language with confidence and spontaneity, in the same way as they use their mother tongue. However they have the potential to become accomplished language learners with the advantage of more advanced cognitive development in the first language. This research will explore the following objectives. a. First objective is to clarify a misconception about adult learners, that they are not slow learners and they have more highly developed cognitive systems, which make them able to establish higher order associations and generalizations, and they integrate new language input with their already substantial learning experience. b. It would help teachers to create atmosphere in the classroom, which would support the adult learner and build confidence, and congenial atmosphere in the classroom. c. Moreover it would help the teachers to understand that experience of adult learner is a living text book and teachers may go through this programme by cooperating with adult learners. Adult learners are notable for a number of special characteristics “They can engage with abstract thought, have a range of life experiences, definite expectations about the learning process, their own set patterns of learning, and are more disciplined than children. Adult learners have a number of characteristics which can make learning and teaching easy by applying various teaching methods, good teaching methods can overcome their anxiousness and under-confident attitude. They have certain linguistic problems like ‘fossilized’ errors – persistent deviations from the L2 norm, language transfer - negative influence of the mother tongue on the productive skills, but heir prior experience can triumph over their problems. Teachers dealing with adult learners know that “adults, unlike children, are concerned with how they are judged by others. They are very cautious about making errors in what they say, for making errors would be a public display of ignorance, which would be an obvious occasion of ‘losing face’This sensitivity of adult learners to making mistakes has been the explanation for their inability to speak without hesitation”. Adult learners have more highly developed cognitive systems, are able to make higher order associations and generalizations, and can integrate new language input with their already substantial learning experience. They also rely on long-term memory rather than the short-term memory function used by children and younger learners for rote learning. In the work, adults are expected to evaluate the relative importance of information, to exercise personal judgment in setting priorities and allocating their time. This basic orientation of personal responsibility of how adults approach the world of learning, Adults must feel the material they are learning is relevant, and that it will have an immediate effect. All adult learners want to use a foreign language with confidence and spontaneity, in the same way as they use their mother tongue. So for this purpose they put their all heart in it .They have certain reasons for learning English language, for some specific purpose it is noteworthy to examine how adult learners differ from young learners. Adult learners are notable for a number of special characteristics. In one respect, however, adult learners are similar to young learners. All may be grouped according to their preferred learning styles. Differences in cognitive styles influence learners’ priorities for particular approach to learning. Learners employ different learning strategies, “specific actions taken by the learner to make learning easier, faster, more enjoyable, more self-directed, and more transferable to new situations., because they don’t exhibit hesitancy in learning ,they are very motivated .They like materials designed to present structures and vocabulary that is of immediate use to them. They can engage with abstract thought, have a range of life experiences, definite expectations about the learning process, their own set patterns of learning, and are more disciplined than children. They are more motivated than young learners. That is why researcher always prefer to teach adults. The age of the adult learner is not a major factor in language acquisition: There is no decline in the ability to learn as people get older. To communicate in a foreign language for adult learner is not difficult in fact it is easy and rapid. a. Do adult students integrate new language input with their already substantial learning experience in Reading classes? b. Do adult students comprehend reading passages more quickly than young students? c. Does age affect the ability to learn English as a second language? d. Do adult students need reading materials designed to present structures and vocabulary that will be of immediate use to them? Every scientific research as a rule is aimed at the analysis of the relation between the different variables and to find out the most accurate information about the subject. This purpose can be achieved though the application of scientific procedure. There are two parts of the study. The descriptive part of the study depends on library research and the second part of the research will be the qualitative and quantitative research methods . c) Questionnaires to the 30 English language learners studying at different levels. The participants of this research would be around 50 teachers teaching at, Diploma, Certificate and Foundation courses at National University of Modern Languages. It is worth mentioning here the researcher is involved in teaching languages to different level of learners at National University of Modern Languages Islamabad .Mostly students are adult. The course was designed for adults who needed English for their work and careers. Although they had learnt English at school, its level was much to be desired.. 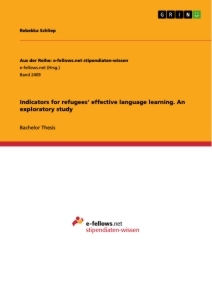 Researcher investigated features of teaching adults and differences between adult and young learners, problems they face in acquisition of the L2, and the ways of helping them out to cope with difficulties, 10 teachers who have been selected from the same university and their experience ranges from one year to twenty years. The researcher herself is a teacher here for 13 years and has been observing and experimenting with these situations. Her personal observations will also form a part of the present study. The second instrument to collect the data for authenticity of the research will be questionnaires. These will be designed to evaluate the respondent’s responses.. .Researcher has chosen following questions around which to develop this questionnaires. First,. Do adult students integrate new language input with their already substantial learning experience in Reading classes? Second,. Do adult students comprehend reading passages more quickly than young students? and third ,Does age affect the ability to learn English as a second language? The population from which she draws a sample of 10 teachers, teaching at Diploma, Certificate and Foundation in the department of English at National University of Modern Languages.. Their experience ranges from one year to twenty years. The researcher herself is a teacher here for 15 years and has been observing and experimenting with these situations. Her personal observations would be also form a part of the present study Specifically, the research was conducted in Department of English at National University of Modern Languages, a large proportion of its students have come from Army, selected for UN foreign mission and, more than half are those learner ,who are studying in tertiary level ,aged above 25. Therefore, it is suitable for the scope of the research. The questionnaire is. is divided into two parts: A, and B. Part A focuses on basic personal details, of which the two most important are “age” and “level” because these two dimensions will help in the data analysis. Using this data, she will be able to choose the classrooms to use for the next phase of her research. All adult learners in each classroom will be tracked during observation. All participants were receiving five 50-minute classes of English instruction daily, and reading is involved in all components of language learning. 1. Reading aspects of language in classroom. 1.Piaget, J. ( 1926)The language and thought of the child. New York: Harcourt, Brace. 2. Flavell, J.H. (1977)Cognitive development. Englewood Cliffs, NJ: Prentice-Hall. 3. Ausubel, D.(1971)and Ausubel, PCognitive development in adolescence. In H. Thornburg (Ed. ), Contemporary adolescence: Readings. Belmont, CA: Brooks/Cole, 42-49. 4. 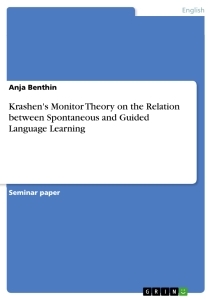 Krashen, S. (1977)The monitor model of adult second language performance. In M. Burt, H. Dulay, and M. Finnochiaro (Eds. ), Viewpoints on English as a second language. New York: Regents. This chapter seeks to give an overview of the existing literature available on the current study. 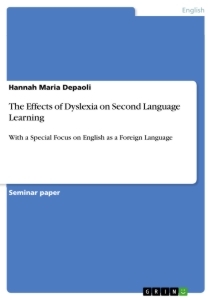 Although extensive research has been conducted on the current issue, yet the subject invites many different areas of TEFL, which have been sought by the scholars. This chapter has divided its research in two parts. Firstly, the researcher wishes to discuss the literature available on this topic. Secondly, various commonly held myths shall be elaborated. The researcher would relate all myths to her research topic. Whereas young learner adapt easily to new classroom culture .There are many factors which influence an adult's ability to learn English as a Second Language (ESL) skills like aptitude, age, motivation, and native language interference, but with the passage of time they can overcome it. These influences are variable and can positively and/or negatively affect ESL learning .There are some other factors as well ,which affect the adult's ability to learn to read English, they are oral knowledge of English, literacy level in the native language, the native language orthography, and student incentive. Sometimes new boundaries have to be learnt, and semantic orientations such as definiteness, aspect and gender are particularly difficult for adult learners, especially if their mother tongue has a different system of classification. L1 has a definite bearing on the learning of L2, and it involves structures, categories and background assumptions - phenomena which is learnt by young, but to some extent, are transferable from one language to another for adult learners. 2. The situational demands: what is expected from the learner in a given situation. 1. Adults are motivated to learn as they experience the needs and interests that learning will be safe. 4. Adults have a deep need to be self-directing. So important factor, which effects adult learning is motivation ,which differentiates it from young learners. Motivation for adult learners in education tends to come from a need to fill a professional gap or a direction from superiors. Class activities which include large amounts of oral repetition, extensive pronunciation correction, or an expectation of error-free speech will also inhibit the older learner's active participation. On the other hand, providing opportunities for learners to work together, focusing on understanding rather than producing language, and reducing the focus on error correction can build learners' self-confidence and promote language learning. Teachers should emphasize the positive--focus on the good progress that learners are making and provide opportunities for them to be successful. This success can then be reinforced with more of the same. Adults studying a foreign language are usually learning it for a specific purpose: to be more effective professionally, to be able to survive in an anticipated foreign situation, or for other instrumental reasons. They are not willing to tolerate boring or irrelevant content, or lessons that stress the learning of grammar rules out of context. Snow, C. E. and Hoefnagel-Hohle( 1978) pointed out, Adult learners need materials designed to present structures and vocabulary that will be of immediate use to them, in a context which reflects the situations and functions they will encounter when using the new language. Materials and activities that do not incorporate real life experiences will succeed with few older learners. 20 Adults have already developed learning strategies that have served them well in other contexts. Teachers should be flexible enough to allow different approaches to the learning task inside the classroom. For example, some teachers ask students not to write during the first language lessons. This can be very frustrating to those who know that they learn best through a visual channel. Postovsky, 1974; Winitz, 1981; J. Gary and N. Gary, 1981).stated that adults with little formal education may also need to be introduced to strategies for organizing information. Many strategies used by learners have been identified; these can be incorporated into language training programs to provide a full range of possibilities for the adult21 According to the research by Rogers, A (1996) he said that effective adult language training programs are those that use materials that provide an interesting and comprehensible message, delay speaking practice and emphasize the development of listening comprehension, tolerate speech errors in the classroom, and include aspects of culture and non-verbal language use in the instructional program. This creates a classroom atmosphere which supports the learner and builds confidence. Teaching adults should be a pleasurable experience. Their self-directedness, life experiences, independence as learners, and motivation to learn provide them with advantages in language learning. A program that meets the needs of the adult learner will lead to rapid language acquisition by this group. 22 As the school-aged population changes, teachers all over the country are challenged with instructing more children with limited English skills. Thus, all teachers need to know something about how children learn a second language (L2). Intuitive assumptions are often mistaken, and children can be harmed if teachers have unrealistic expectations of the process of L2 learning and its relationship to the acquisition of other academic skills and knowledge. As any adult who has tried to learn another language can verify, second language learning can be a frustrating experience. This is no less the case for children, although there is a widespread belief that children are facile second language learners. Lenneberg, 1967 in his digest discusses commonly held myths and misconceptions about children and adult second language learning and the implications for classroom teachers. Typically, people who assert the superiority of child learners claim that children's brains are more flexible but adult brain is adaptable23 Newport, 1990). Current research challenges this biological imperative, arguing that different rates of L2 acquisition may reflect psychological and social factors that favor adult learners Newport, E. in his research comparing children to adults has consistently demonstrated that .adults perform better than young children under controlled conditions One exception is pronunciation, although even here some studies show better results for adult learners24. Nonetheless, people continue to believe that children learn languages faster than adults. Is this superiority illusory? A child does not have to learn as much as an adult to achieve communicative competence. A child's constructions are shorter and simpler, and vocabulary is smaller. Hence, although it appears that the child learns more quickly than the adult, research results typically indicate that adult and adolescent learners perform better. Teachers should not expect miraculous results from adult learning English as a second language (ESL) in the classroom. At the very least, they should anticipate that learning a second language is as difficult for a child as it is for an adult. It may be even more difficult, since young children do not have access to the memory techniques and other strategies that more experienced learners use in acquiring vocabulary and in learning grammatical rules. Adults have distinct patterns in which they tend to learn, although learning is inherently a personal quest, and therefore, individuals may have other learning patterns. Adult learners tend to expect learning to be delivered in a traditional, teacher-led way, and to expect the faculty member to do the “work” of the learning. The adult learner is there to absorb the learning. Weisel, L. P.describes,Adult learners to automatically embrace a brand new way of learning immediately, or without proper orientation, is expecting too much 29,So this pattern should come as no surprise, based on the fact that pattern two illustrates the “practicality” mindset that adult learners have toward continuing education. Winitz (1981) advises that this may be dependent on where adult learners are in different professional stages of their lives, though. Adult learners tend to rely on colleagues or friends which may also be experts in their professional field for advice when seeking advice on learning or embarking on a new educational venture. There are many factors that must be taken into account to establish a productive learning and teaching situation in adult classes. According to Lenenberg(1967)Also adult learners have some characteristics which can sometimes make learning and teaching problematic. In some cases, unfamiliar teaching patterns and innovative activities may make them feel uncomfortable since their previous learning experiences get them to be critical of these teaching methods 30 Moreover, many other adult learners worry that their intellectual powers may be diminishing with age-they are concerned about keeping their creative powers alive, maintaining a "sense of generativity" Ostwald, S. K., and H. Y. Williams (1985) illustrate their point of view in this way that it is needless to say, that it is directly related to how much learning has been going on in adult life before they come to a new learning experience 31.As we have mentioned the problem of self-esteem and inhibition in adult learners, it will be beneficial to recall a study to see the other side of the coin: A survey by Child-Line shows that a sample of 1000 secondary school pupils were worried more about doing well at school than anything else in their lives and that Children as young as twelve were worried about university entrance concludes. Whereas the main concern of this research is not the young learners, it should be considered that adultness is not a promotion or a medal of maturity. Naturally, adult learners also go through such educational jungles, processes, given above and the ones who are more sensitive or having a fragile self-esteem fulfill their beliefs and values on learning through those experiences. This survey is a notable evidence to convince us of importance of strengthening the self-esteem and encouraging the personal relations in our classes, whether our students are very young learners or socially accepted mature adults. Meanings accompany experience when we know what is happening and what importance the event includes for our personalities. Consequently, we can assume that an adult learning program should construct a safe experience road on which the signs show the destination clearly and how to go through this road more effectively. 1. Ausubel, D., and Ausubel, P. (1971). Cognitive development in adolescence. In H. Thornburg (Ed. ), Contemporary adolescence: Readings. Belmont, CA: Brooks/Cole, 42-49. 2. Bamford, J. & Day, R.R. ER: (1997)What is it? Why bother? The Language Teacher, 21, 6-8/12. 4. Carrell, P.L. & Carson, J.G. (1997) Extensive and intensive reading in an EAP setting. English for Specific Purposes, 16, 47-60. 5. Campbell, R. (1989). The teacher as a role model during Sustained Silent Reading (SSR). Reading, 23(3), 179-183. 6. Davis, C.. ER(1995)an expensive extravagance? ELT Journal, 49(4), 329-336. 9. Fielding, L. & Roller, C. (1992). Making difficult books accessible and easy book acceptable. The Reading Teacher, 45(9), 678-685. 12. Joiner, E. G(1981).The Older Foreign Language Learner:A Challenge for Colleges(Language in Education Series No. 34). Washington, DC: ERIC Clearinghouse on Languages and Linguistics; available from Englewood Cliffs, NJ: Prentice-Hall, ED 208 672. 15. Krashen, S. D., M. A. Long, and R. C. Scarcella. (1979) "Age, Rate and Eventual Attainment in Second Language Acquisition." Tesol Quarterly 13: 573-582. 18. Krashen, S.P(1982)rinciples and practice in second language acquisition. Oxford: Pergamon Press. 20. McLanghlin, B. (1981) Differences and similarities between first- and second- language learning. In Winitz, H (Ed) Native language and foreign language acquisition. 22. Newport, E(1990). Maturational constraints on language learning. "Cognitive Science, 14," 11-28. 24. Ostwald, S. K., and H. Y. Williams. (1985) "Optimizing Learning in the Elderly: A Model." Life Long Learning 10-13, 27. 25. Oxford-Carpenter, R. (1985) "A New Taxonomy of Second Language Learning Strategies." Washington, DC: ERIC Clearinghouse on Languages and Linguistics, (FL No. 015 798). acquisition. In Hatch, E. M . (ed) Second Language Acquisition. 32. Swanson and R.A (1998)The Adult Learner : Gulf Publishing.1998.